There are many opportunities for lay-led Sunday services. Our Sunday Service is at 10:45 a.m. and ends at noon. Join us in the Fellowship Hall for coffee, tea, light refreshments, and good conversation after the service. ​Children welcome! 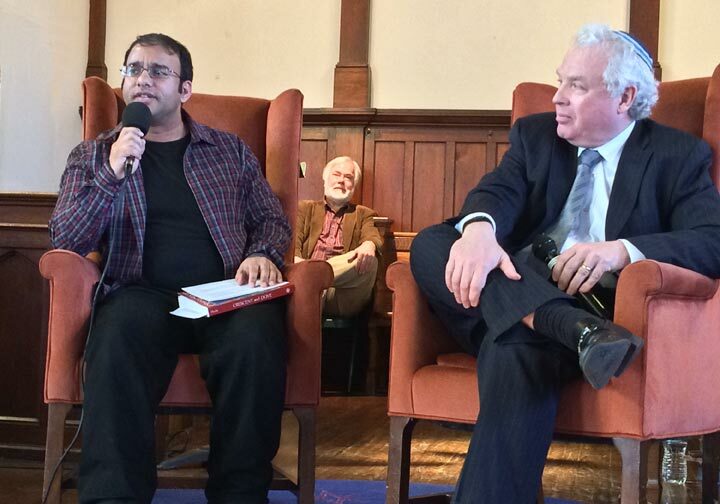 Anti-war activist and Muslim Ghanim Khalil, in dialog with Rabbi Michael Howald. 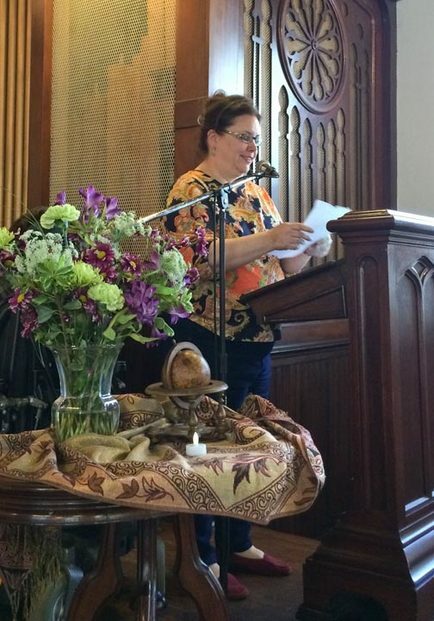 Our sermons (listen here), music, and readings are drawn from the world's religions, current events and the arts, with themes that focus on human dignity, social justice, and ecological responsibility. To open our hearts and home in order to enrich our community. To extend ourselves to help make the world a better place. To support and nurture people as they search for their own truth. To share the responsibility for sustaining our cherished home! 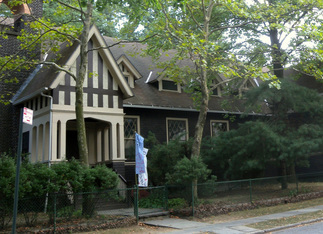 Our historic Arts & Crafts building, located one block from Snug Harbor Cultural Center. First Principle: The inherent worth and dignity of every person. Second Principle: Justice, equity and compassion in human relations. Third Principle: Acceptance of one another and encouragement to spiritual growth in our congregations. Fourth Principle: A free and responsible search for truth and meaning. Fifth Principle: The right of conscience and the use of the democratic process within our congregations and in society at large. Sixth Principle: The goal of world community with peace, liberty, and justice for all. Our members table at the Annual PrideFest, which is celebrated at Snug Harbor Cultural Center. Words and deeds of prophetic women and men, which challenge us to confront powers and structures of evil with justice, compassion, and the power of love. Wisdom from the world's religions which inspire us in our ethical and spiritual life.